Industrial grade steel with powder coat finish and satin chrome double handles. 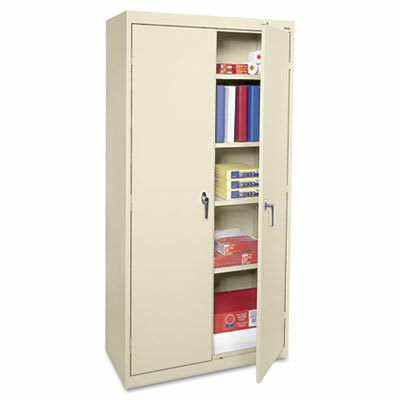 Optional Dividers ALE-80408 fit 18" deep cabinets. Single point locking system secures each door to the fixed shelf. Built tough to ensure strength and durability. Powder coat finish helps prevent scratches and scrapes. Locking handles require assembly. Shelf Capacity (Weight) 200 lbs.